Following is a list of the current South Carolina Rural Infrastructure Authority grants that are being administered by Catawba Regional Council of Governments. 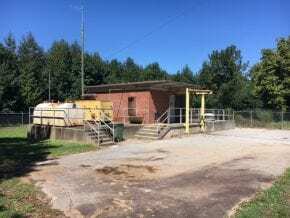 Project Description: The project will upgrade the Meansville Road pump station and force main to increase capacity for the Union Commerce Industrial Park and growth on the north side of the City of Union. This will also increase force to accommodate flow. Project Description: Replacement of 5,500 linear feet of existing 10-inch sewer trunk line with 10-inch PVC/DIP, removal and replacement of 21 manholes and replacement of 6 piers holding elevated sewer line. Beneficiaries: The Lockhart School and 12 residences on Lockhart Drive. Project Description: The project will consist of the construction of approximately 3,000 linear feet of eight-inch sanitary sewer lines and 14 manholes from the Lockhart School, down Lockhart Drive to the intersection of Lockhart Drive and Canal Road. This will address the immediate problems with a broken sewer line and prevent future breaks and sewage overflows. Project Description: The project will consist of upgrades to the U.S. Highway 200 sanitary sewer lift station owned by the Town of Great Falls in an effort to offer development capacity and retain existing commerce and jobs at I-77 and U.S. Highway 200. Project Description: The project will upgrade Basin 2 at the Kershaw Wastewater Treatment Plant, which is aging and does not include updated wastewater treatment technology and equipment or adequate safety features. Project Description: Construction of a 500,000 gallon elevated water tank to provide enhanced services to Tega Cay’s current customers, accommodate the additional 3,737 residences and 7 business developments that are permitted and/or under construction and to serve a new middle school, which is under development. Project Description: Construction of a 1,000,000 gallon water tank and 2,500 linear feet of 16-inch water line to serve 2,275 residential water customers, 6 schools and 89 businesses. These improvements will also serve additional businesses, commercial and residential developments that are planned for the Kingsley area of Fort Mill.